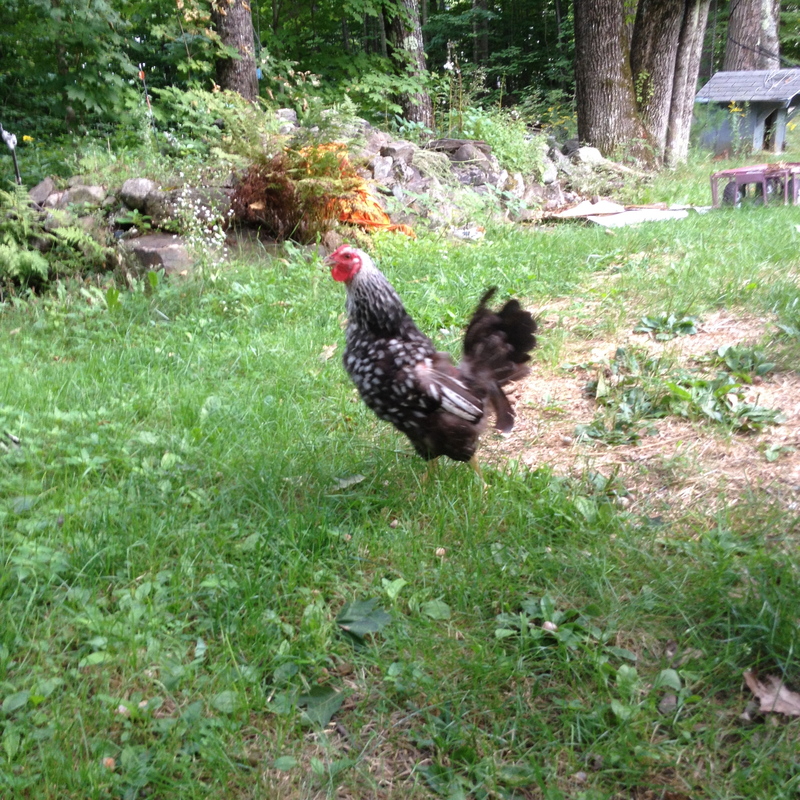 I have mentioned in a few posts that we have one chicken who has seceded from the flock. Even though she has no problem getting in and out of the fences. Recently she has decided not to return at night to roost. The first few days of this new behavior I was worried when she didn’t show up in the nightly head count. We lost three chickens last year around this time when the flock still had the run of the yard. But I kept on seeing her in the morning. They are some of the worst noises I have witnessed coming from a chicken. 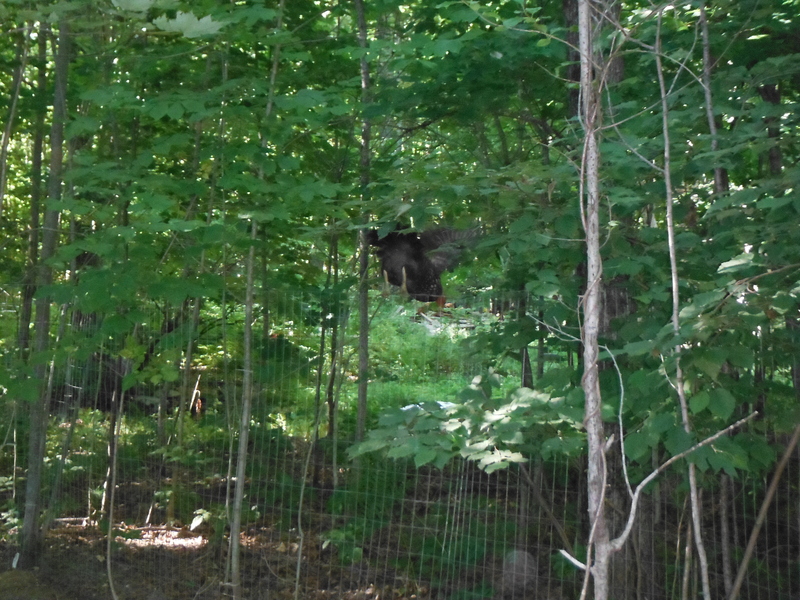 In addition this racket has no desernable cause, the only thing I can come up with is that it is a six month protest about having her roosting spot moved when we put them up in the new A-frame coop across the yard. 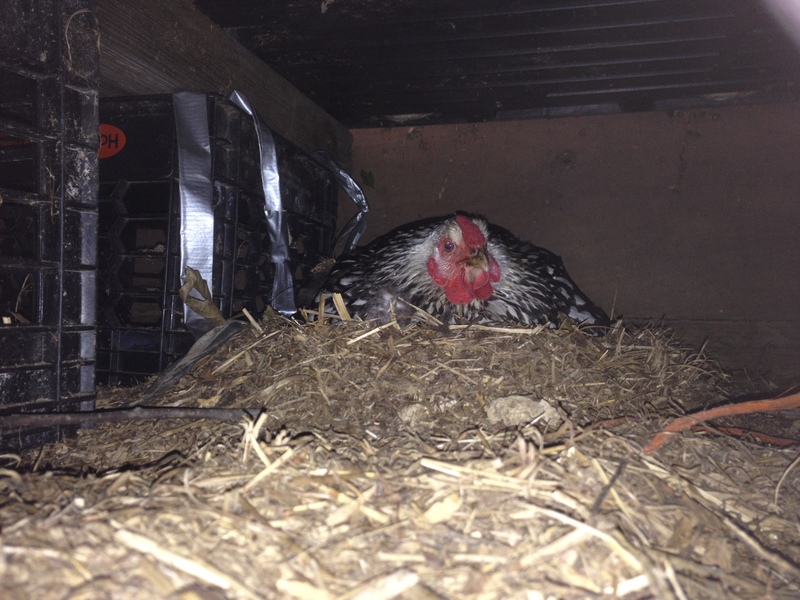 Her normal routine was to escape after being let out, run over to the old coop (now the Guinea’s coop) go inside and lay her egg, then return to the A-frame coop. Loudly complaining about the process the WHOLE TIME! 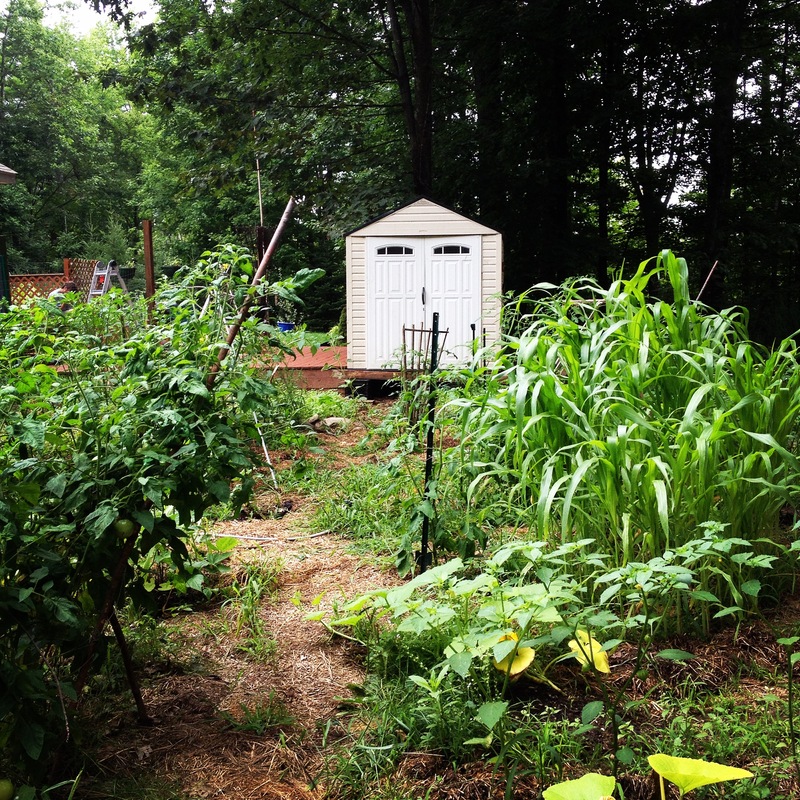 The old chicken coop and currently the guinea’s home. Since the Guinea coop has been unavailable for such activities the past couple months she has apparently taken up residence below the structure. Like some kind of chicken Smeagol, hold-up with her ‘precious’ eggs. I kicked her off the nest to get a look at what she is hoarding and sure enough it is full nest of eggs. At this point I find myself at a loss for what to do. 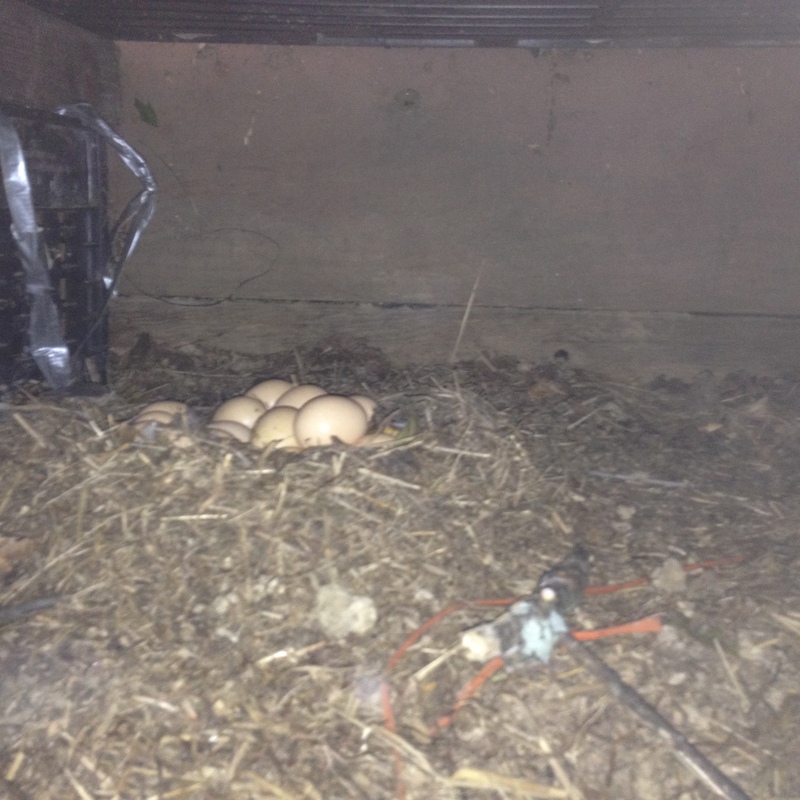 We have a half-crazed broody hen who has taken up residence UNDERNEATH a shed when she has two other options. We will see what happens. It is one of my favorite spanish phrases- “vamos a ver”-“Let’s see.” She is a willful beast, this will be interesting… as all life should be.